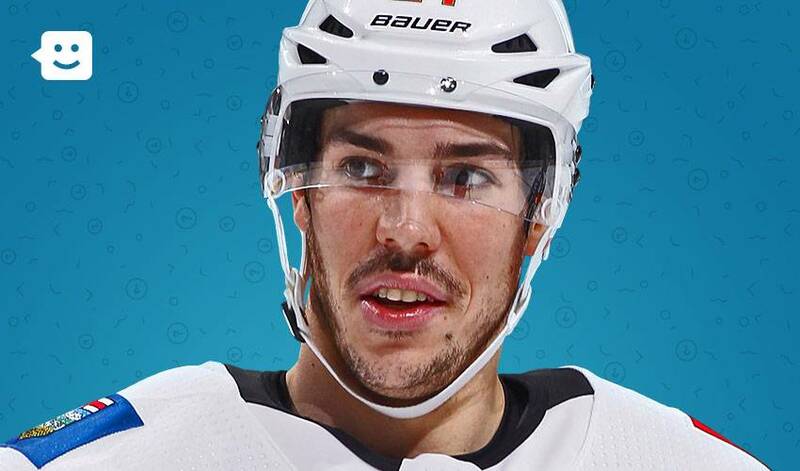 For Travis Hamonic, working together with his wife, Stephanie, to help make a difference in the lives of Indigenous youth is both deeply personal and immensely rewarding. Throughout his NHL career, one that’s now in its ninth season, 28-year-old Travis has been held in high regard in hockey circles as a respected teammate and first-class professional. The veteran defenceman, in his second season with the Calgary Flames, has also earned the same reputation for his numerous contributions to community and charitable endeavours. So, it came as no surprise when, in 2017, the couple announced a new off-ice initiative, one that resonates with Travis, who takes great pride in his Métis heritage. Known as The Northern Project, this not-for-profit provides Indigenous youth from the Northwest Territories, Nunavut and Yukon with opportunities to experience the benefits of sport and education in their communities. The program also gives them the chance to visit Calgary for an all-expenses paid weekend trip courtesy of the Hamonics. Inspired by the legacy left in the northern communities by The Tragically Hip frontman Gord Downie before his passing, Hamonic pointed to lack of accessibility in some of the most remote areas where these communities reside. In partnership with Hockey North, coaches, volunteers and teachers were asked to nominate kids who they felt were deserving of the experience, with the winner receiving a phone call from the couple. Since he joined the Flames in 2017, Travis, along with Stephanie, has made a huge impact away from the rink. Aside from The Northern Project, and the D-Partner program (for young people who have lost parents), the Hamonics created Charlie’s Children (support for low-income families or single parents expecting a baby), named after their young daughter. In recognition of his community efforts, Travis received the 2016-17 NHL Foundation Player Award, presented annually to the player "who applies the core values of hockey — commitment, perseverance and teamwork — to enrich the lives of people in their community." Travis has also worked with the "Hit The Ice" TV show to help Canada's most promising young First Nations hockey prospects as they take part in a two-week NHL-format training camp to showcase their talents for junior hockey scouts. "Being Métis, my roots are very important to me,” said Travis. “We hope that The Northern Project has a positive effect on the kids and their families, and gives them optimism when they look towards the future." What impact has he seen on those he’s met through The Northern Project? It’s something he’s reminded of every time he sits down with the people he meets through The Northern Project. Travis Hamonic is truly dedicated to giving back to Indigenous young people and helping them find inner strength and courage. Travis shared these experiences with Kids Help Phone to help identify — and share information about — the types of resources that are available to Indigenous youth in Canada. Remember, First Nations, Inuit and Métis youth can reach out to Kids Help Phone 24/7 for confidential professional counselling, information and referrals and volunteer-led text-based support. Check out Finding Hope: Kids Help Phone’s Action Plan for Supporting First Nations, Inuit and Métis Young People for more information on how you can support Indigenous youth. This article is a part of a series for the NHLPA’s partnership with Kids Help Phone.